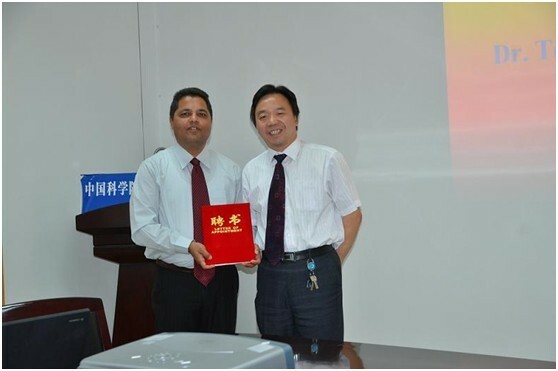 May 17-18, Dr. Tek Maraseni, the Deputy Director of Australian Centre for Sustainable Catchments (ACSC), the University of Southern Queensland, visited the Lanzhou Branch of National Science Library at the invitation of Researcher Qu Jiansheng. On the moring of the 17th, Dr. Maraseni had a talk with the key researchers of the library. To start with, the Deputy Librarian GAO Feng introduced the major work and research achievements of the branch, and awarded Dr. Maraseni a letter of appointment as the Visiting Fellow of the library. Then Dr. Maraseni gave an introduction of the ACSC and their latest research, and made an academic report called 'Does the adoption of zero tillage reduce greenhouse gas emissions? An assessment for the grains industry in Australia '. For further communication, Researcher Qu Jiansheng also made a report titled as 'An Assessment on the Subsistence Carbon Emissions of Peasants and Herdsmen in Arid-Alpine Regions, China'. The meeting was presided by Deputy Librarian Wu Xinnian. On the morning of the 18th, Dr. Maraseni gave another acadamic lecture of 'Crops, Cows or Timber? Including Carbon Values in Land Use Choices'. 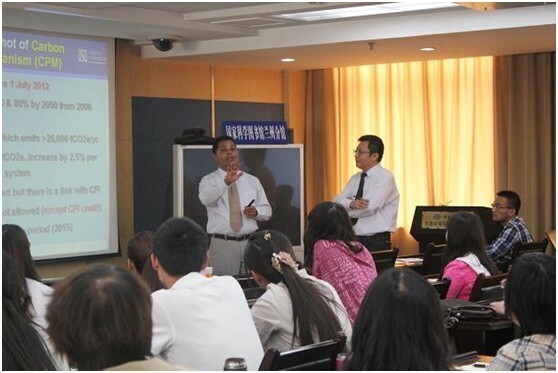 Over 70 staff and postgraduates from the library, the Cold and Arid Regions Environmental Research Institute of the Chinese Academy of Sciences, Lanzhou Unniversity, and Northwest Normal University attended it. In the afternoon, Dr. Maraseni havd a disscussion with the researchers of Intelligence Department over research methods and computing models.